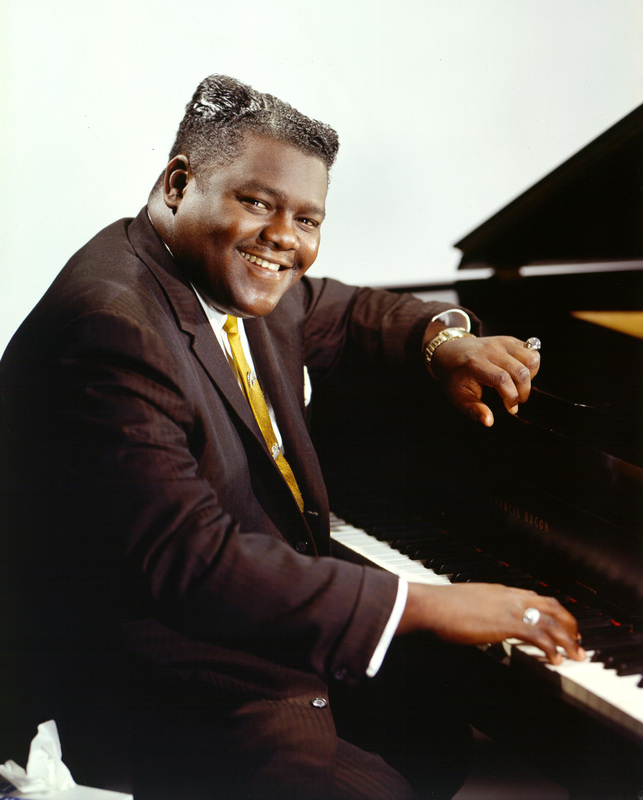 With the exception of New Orleans, no home better suits Fats Domino than the PBS American Masters series. That's where you can visit him Friday, 10 p.m. 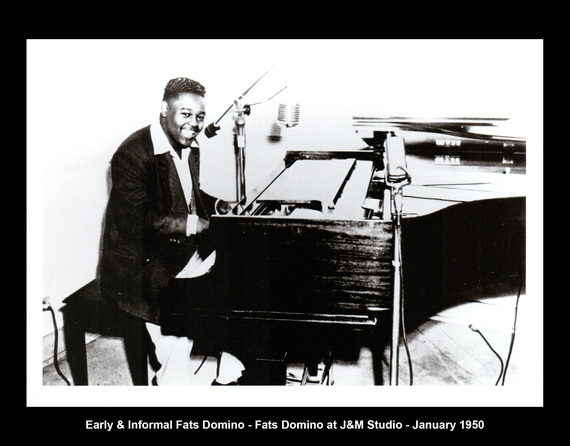 ET, in a new film called Fats Domino and the Birth of Rock 'n' Roll. Because he is an American master, be ready for things to start shaking. Rock writer Dave Marsh once said the most amazing thing about Fats Domino is that "He never made a bad record," and it's true. Domino recorded hundreds of songs in a career that started in 1950 and ran through 2006. While not every song was great, not one was bad. Cue up any Fats Domino song, at random, and something - a foot, a finger - will start to move. That's just how it works. Even if you've heard it a thousand times.
" target="_hplink">"I found my thrill . . . on Blueberry Hill . . . ."
" target="_hplink">"Yes it's me and I'm in love again . . . ."
" target="_hplink">Ain't that a shame . . . . My tears fell like rain . . . ."
Producer/writer/director Joe Lauro lays all of this out very nicely in The Birth of Rock 'n' Roll, which takes Domino from a hardscrabble childhood in the Lower Ninth Ward to stages around the world and reverential admiration as a founding father of the music he played on those stages every night. Musically, Lauro starts by revisiting Domino's major influences, including boogie-woogie pianists Pete Johnson and Amos Milburn and the iconic R&B showman Louis Jordan. The musical throughline is direct in all cases. The show spends more time, however, and appropriately so, on Domino's own music from the 1950s, an astonishingly prolific decade that started with his first hit, "The Fat Man," and continued through his irresistible takes on standards like "Blueberry Hill." Drawing on vintage and fresh interviews, Lauro gives proper credit both to Domino himself and to his band, which included masters like Earl Palmer and Herb Hardesty. 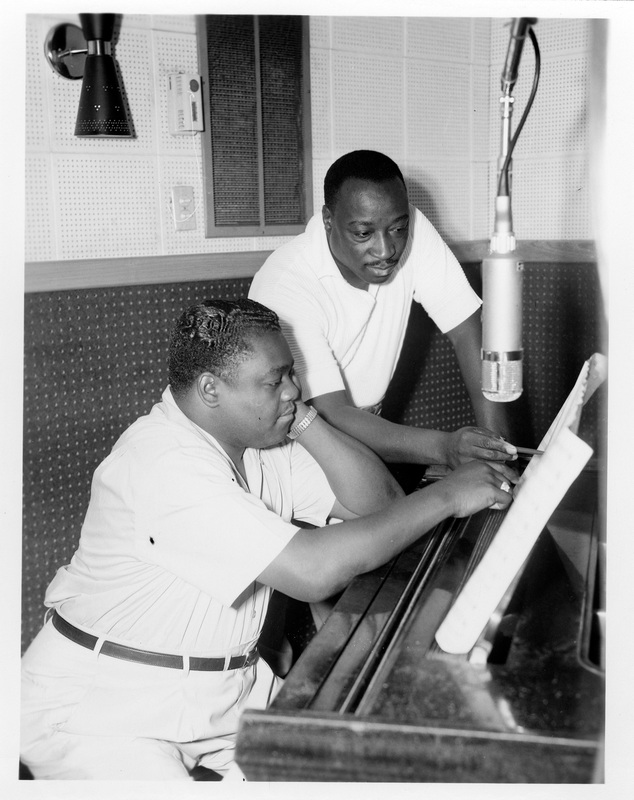 The film wisely incorporates at length the role of Dave Bartholomew (above), the New Orleans trumpeter with whom Domino collaborated for half a century. Bartholomew, an accomplished player on his own, offers some song-by-song commentary, musing that "Blue Monday" was one of his best. The hour is rich in vintage clips, and while Domino was simply lip-synching in most of them, even these numbers give a real sense of how infectious his shows felt. What could be not to like? Domino himself has always been a reluctant interview, so even though he's still around - he turns 88 on the night this program airs - there isn't much footage of Fats on Fats. In fact, if you're looking for almost anything outside of a musical biography, this isn't your show, because after we get to the point where Domino begins recording, we hear almost nothing more about his off-stage life. Lauro does note that Domino wasn't immune from the corrosive impact of segregation on touring black artists, who couldn't stay in most Southern hotels or eat in most Southern restaurants. But we never get much sense of how Domino felt about that kind of larger issue, either from him or the people who have known him. We get one brief glimpse of his family, which includes at least nine children, and we're told he eventually cut down on his touring because he wanted to spend more time at home. But there's almost nothing about that home, not even a mention of the drama during Hurricane Katrina when for a troubling day or so his fate was uncertain. So although he reportedly loves to cook, among other things, don't look to this American Masters for any Fats Domino recipes. Piano triplets, yes. A reminder that he played the classic piano introduction to Lloyd Price's "Lawdy Miss Clawdy," yes. 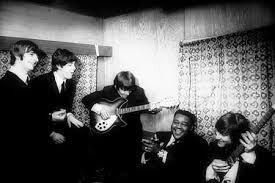 Confirmation the Beatles loved Fats Domino, yes. A Day In The Life, not even close. But if some of his fans might still want to know more about Fats the Man, they can't be disappointed by this smart and loving tribute to the music of the man who never made a bad record.